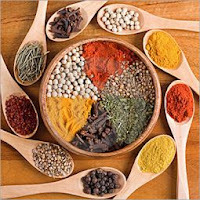 India’s spices exports surged by 29% to Rs 4,165.59 crore in April-September 2011 from Rs 3,220.16 crore in April-September 2010. And in dollar terms, it increased by 32% to $920.55 million in the first half of current financial year compared to $699.28 million in April-September 2010. However, as per the Spices Board, the total exports of spices and spice products fell by 19% to 2,37,585 tonnes in April-September 2011 compared to 2,94,925 tonnes in the same period of last fiscal year.